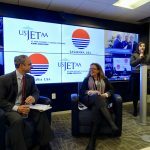 On January 29, 2019, Sasakawa USA and the U.S. Japan Exchange & Teaching Programme Alumni Association (USJETAA) co-hosted an inaugural hybrid U.S.-Japan town hall, with in-person and virtual attendees. This event, “U.S.-Japan Town Hall: Trends in People-to-People Exchanges and Educational Initiatives” was held at Florida International University (FIU) in Washington D.C. Dr. Sheila Smith, Senior Fellow for Japan Studies at the Council on Foreign Relations, and James “Jim” Gannon, Executive Director of the Japan Center for International Exchange, discussed trends in people-to-people exchange between the United States in Japan. They also introduced recent educational initiatives and programs cultivating the next generation of leaders in U.S.-Japan relations. Although there are many positive features of the NDPG, they are inadequate in the very important area of achieving joint operations by the Self Defense Force. NDPG documents are always the tip of an iceberg, indicating the presence of much more substance unseen below the water line. However even tips of icebergs indicate overall direction and speed. The 2019 NDPG show a positive direction for Japanese joint capabilities, but the speed is disappointingly slow, much too slow for the security environment that the document itself accurately describes. 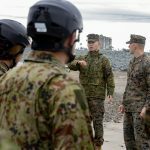 How will Japan defend itself, if it can’t get its youth to serve? Tara Copp, Pentagon Bureau Chief for Military Times, was one of eight rising U.S. journalists covering U.S. national security and defense issues who participated in a week-long study trip to Japan in December 2018 as part of the Sasakawa USA Emerging Experts Delegation (SEED) program. 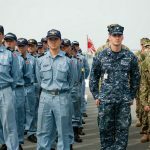 Copp published “How will Japan defend itself, if it can’t get its youth to serve?” in the Military Times on January 30, 2019. 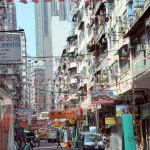 I began to learn more about my position’s specific tasks over the following months. 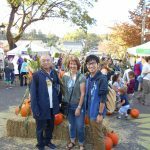 One of them stuck out to me in particular—I’d be participating in a sister cities delegation made up of 20 middle school students and five town chaperones to Camas, Washington, in October, less than two months after my arrival in Taki, Japan.